When did Nedbank become involved in The Cape Wine Auction and why? Nedbank Private Wealth entered into a two year partnership with the Cape Wine Association Trust in 2017, contributing towards the hosting of the 2017 and 2018 Cape Wine Auction events. The sponsorship represents Nedbank Private Wealth’s commitment to promoting and enabling the philanthropic efforts of our clients, both locally and internationally. Furthermore, the findings of the Nedbank Private Wealth Giving Report, produced by the Nedbank Private Wealth Philanthropy Office, have consistently indicated that 9 out of 10 affluent South Africans give of their time, money, goods or services to uplift less privileged individuals or in support of causes close to their heart. The sponsorship is part of our commitment to provide another means for our clients to support real social-economic development through sustainable and significant support of non-profit organisations, specifically in the education sector. Can you detail Nedbank Private Wealth’s role in the Cape Wine Auction? A fundamental aspect of our business value proposition is to create opportunities for individuals and organisations that are actively involved in supporting a range of philanthropic initiatives. As such, our partnership and role goes beyond providing financial support to the CWA; we also extend an invitation to our clients to provide them with a platform to be able to give in line with our philosophy to strengthen and grow the sector. Nedbank not only puts its “name” to the Cape Wine Auction, but seems to be very involved – even participating in the Trust’s annual workshop. We always look forward to collaborating with various partners to share our knowledge and expertise with non-profit organisations. Last year, I was honoured to facilitate a discussion with Wendy Appelbaum at the Cape Wine Auction Trust’s beneficiary workshop. 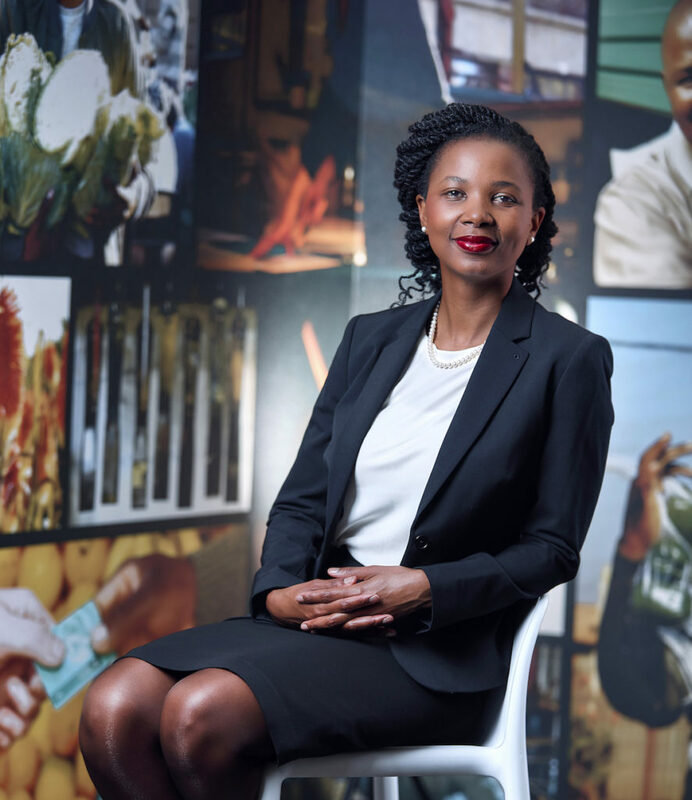 As Chairperson of the Cape Wine Auction Trust and philanthropist, Wendy is deeply committed to transforming education in the Winelands and, as Nedbank Private Wealth, we have a shared vision of providing holistic support to education in South Africa. Our participation at the conference gave us the opportunity to share knowledge and engage with the beneficiaries of the Cape Wine Auction. What are you particularly excited about with this year’s auction? Besides the great lots on auction, we are excited at the prospect of once again exceeding expectations in terms of the amount raised, and play a part in the success of the Cape Wine Auction Trust’s beneficiaries that provide holistic and comprehensive support to learners in the Cape Winelands. What other CSR initiatives is Nedbank Private Wealth involved in? As a business that shares Nedbank Group’s commitment to leveraging its financial expertise to do good, Nedbank Private Wealth delivers the majority of its social upliftment support through its Nedbank Private Wealth Educational Foundation and Nedbank Private Wealth Charitable Foundation. For the past 20 years, these two foundations have invested significantly into communities across the country, with the primary aim of empowering mainly young people and giving them the opportunities to build brighter futures. Programmes supported focus on maths and science in secondary schools as well as accredited training programmes. What impact does your involvement with CWA have on NPW? As a business that has a long history and legacy of providing philanthropic advice to our clients, the CWA is another platform that enables our clients to give to sustainable and impactful initiatives. On a personal note – if you had a blank cheque book, which lot at this year’s auction would you be bidding for? A pair of tickets to the men’s and women’s quarterfinals of the 2018 US Open Tennis Championships at the USTA Billie Jean King National Tennis Center in New York would be a great lot to bid on! Nedbank Private Wealth supports several initiatives aimed at doing good, and education is a critical cornerstone. In addition, our philanthropic expertise provides invaluable tools to ensure that projects such as the ones supported by the CWA have a sustainable, long-term impact. We look forward to once again supporting this prestigious event and the worthy causes it supports. As with previous years, guests to the Cape Wine Auction are expected from across South Africa as well as the US, UK, Germany and Scandinavia where they will be treated to some of the finest food and wines, top class entertainment and, of course, the opportunity to bid on once-in-a-lifetime experiences, while making a real difference to many underprivileged South African children. Tickets for this prestigious event were sold out in record time and expectations are high that the R22,3 million raised in 2017 will be surpassed at this year’s auction. Regarded as the most extraordinary international wine event to be hosted in South Africa and the leading event on the local wine calendar, the Cape Wine Auction (CWA) takes place annually over two days at different wine estates in the Western Cape. Prominent wine aficionados from around the globe, hosted by South Africa’s iconic winemakers, are invited to make a serious difference in aid of charity when the bidding opens once-in-a-lifetime offerings including rare wine collections as well as exclusive hand-selected local and international wine and gourmet and travel experiences. This year, the CWA broke their own record by raising a staggering R22.3 million at the Antonij Rupert Wyne Estate, sponsored by Nedbank Private Wealth. Established in 2014, the Cape Wine Auction Trust was created to raise money for education in the South African winelands. It is well established that the most effective method for uplifting underprivileged communities is education. This global showcase of South African wines is committed to changing people’s lives through the powerful tool of education – from cradle to career – and the Cape Wine Auction Trust has been established with a clear mandate to raise funds for education in the winelands. To date the trust assists 27 beneficiaries within the winelands. The Cape Wine Auction Trust trustees are Siobhan Thompson, Paul Cluver, Mike Ratcliffe, Ken Kinsey-Quick, Wendy Appelbaum and Raymond Ndlovu.